Mark November 8-9th in your calendars, because TAG’s GAMERella is happening again this year! Just like last year, GAMERella is inviting self-identified women and gender non conforming game makers, as well as anyone who feels they haven’t had a chance to make a (video or board) game in a city ruled by industry giants. TAG welcomes everyone, not just women, to join them in November and change the scene of indie game-making. This year New York based Code Liberation is joining us with a remote location at NYU Game Center. In addition to Montreal and New York you can also join us online on our Twitch channel. Although the number of women game developers is growing, we haven’t yet reached an equal proportion to that of men. It seems many are still intimidated by the atmosphere and have a hard time going to events like jams, where people gather for a short period of time to make small, innovative games. GAMERella was conceived to prove that game jams are the safest, most exciting environments in which to create games for the first time. Everyone experiments, learning and sharing skills with others. It is a place to improve a craft, try out risky and unconventional game design ideas, meet other developers, and above all, have fun. GAMERella offers the opportunity to meet more women and gender-non conforming people (as well as men who support women) interested in game development. The organizers wish not only to encourage more women and first-time game jammers to join in on the excitement, but also to celebrate the representation of women in the videogame community. For those unsure of what skills they might contribute, three workshops involving the use of free or almost-free software will be held at Concordia University in preparation for the event. Besides making an awesome game, participating in GAMERella will allow you to gain valuable experience and meet industry professionals. This year’s theme is “Boss Up” – a fitting theme to commend the rise of women in the industry. It’s official: the jam will fantastic keynote speaker will be Kara Stone. She is a feminist game-maker whose art focuses on gendered perspectives of affect and emotion – but is much more fun than it sounds. Not in Montreal? Worry not! 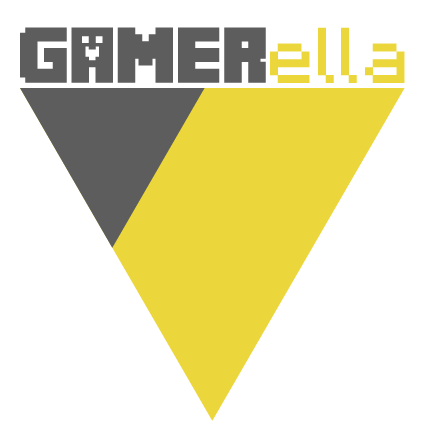 NEW YORK based Code Liberation will be hosting GAMERella at NYU Game Center. Code Liberation offers free development workshops and events in order to facilitate the creation of indie game titles by women. To sign up to the NYC location and for more info please click here. Unfortunately, we are unable to provide equipment for jammers to use at the event, so please be sure to bring your own computers or game making tools. 15h: Last-minute debugging, update, commit. 16h: Deadline. Give yourselves a pat on the back! Friends and fans arrive. There is no required number, but we suggest you stick to 2 or 4. Anything above 4 or 5 per team is not recommended as it can get a little chaotic. You can also make a game by yourself, if you’re up to the challenge! Join the GAMERella workshops to broaden your skill set. The rules for most game jams are as follows: if the theme is not secret (true in this case–the theme is Boss Up), you may begin thinking of how you would like to approach making your game. However, you are not allowed to bring in any existing content. All assets of your game must be original, made from the start of the jam. You may use a pre-existing library, however, and if you do not have a sound person on the team, generally it is okay to include pre-existing sound which you have the rights to use.